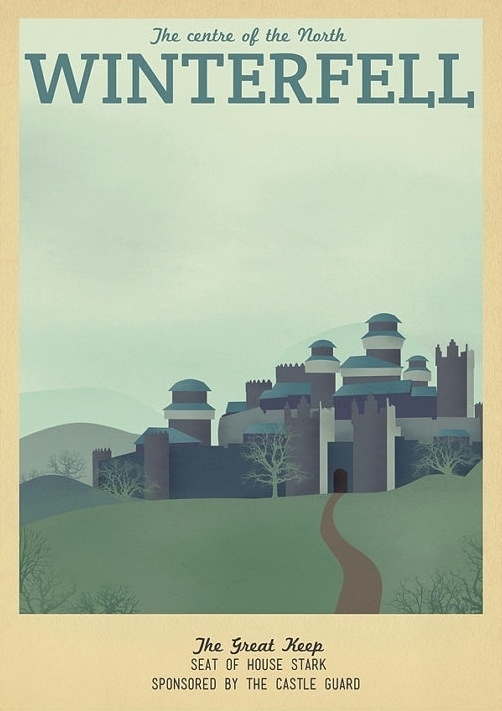 Artist Ali Xenos has reached into the hearts of sci-fi and fantasy fans everywhere with a line of retro travel posters promoting far-off lands from the Lord of the Rings, Star Wars and the up-and-comer lately, Game of Thrones. It’s only a matter of time before someone starts creating theme parks based on these places, right? 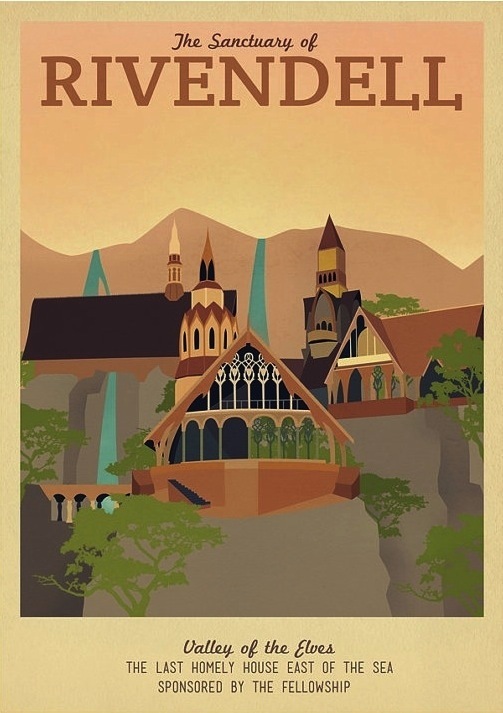 Please, tell me I’m right because I need to go to Rivendell and relax. These elves do not sit on shelves. 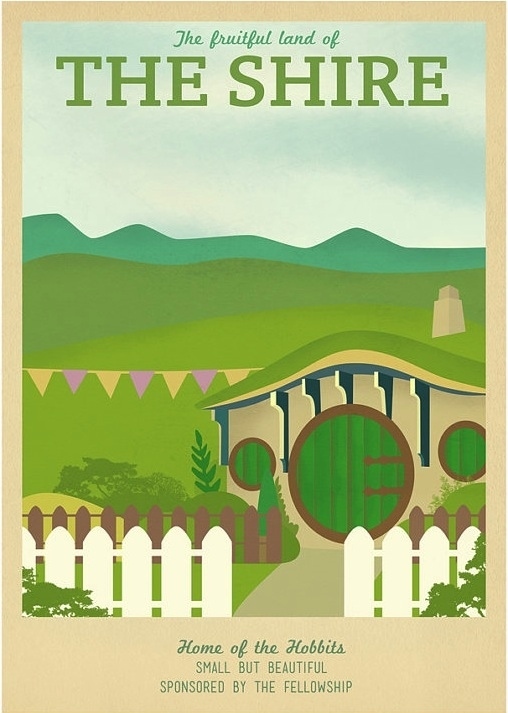 The Shire boasts great pubs, so I’ve heard. 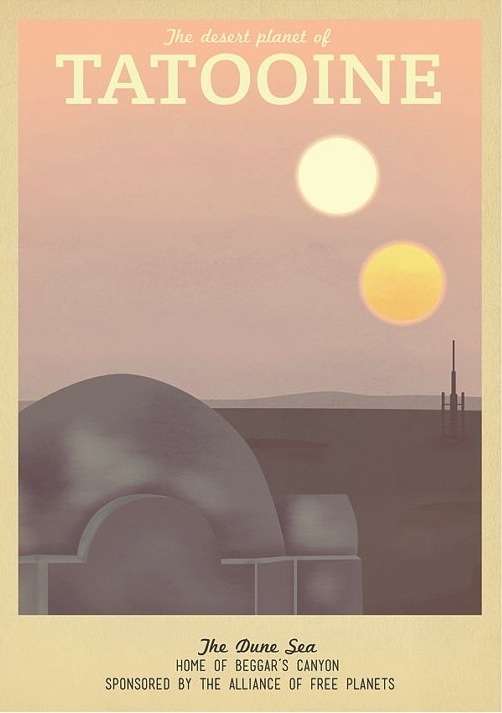 Aunt Beru, we hardly knew ye. 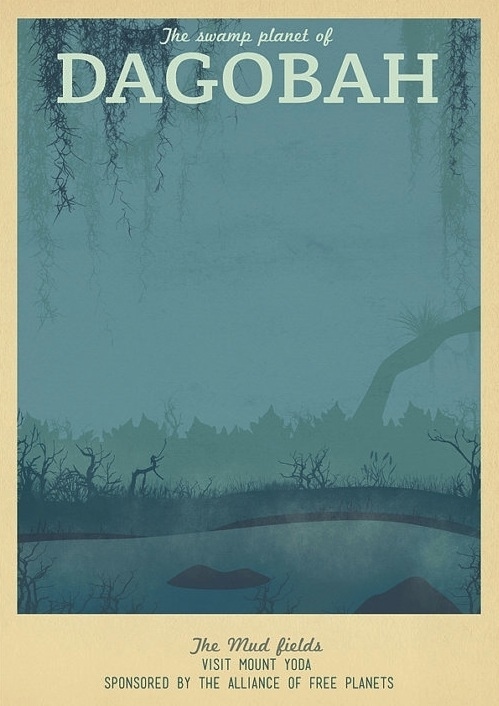 A bit of northern solitude. 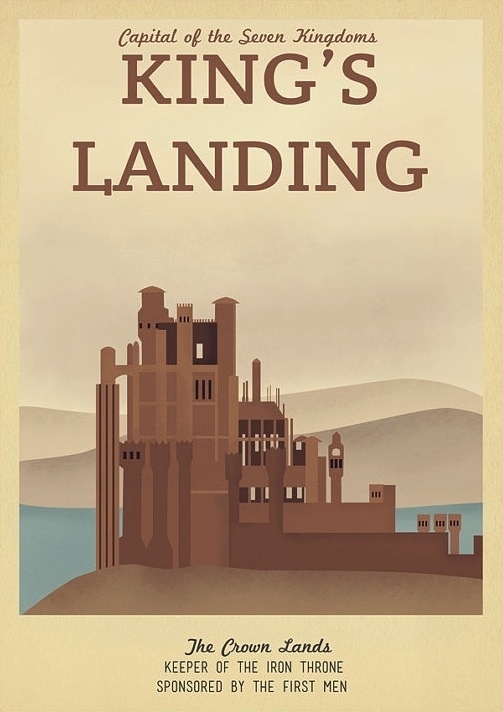 Just watch out for the spies and murderous kinglings.